He (in co-authorship with Gil Morales) is a regular contributor to MarketWatch. Dr. Kacher is also currently a principal and Managing Director of MoKa Investors, LLC and Virtue of Selfish Investing, LLC, www.virtueofselfishinvesting.com. He currently manages money for qualified investors through each of those firms, and is a frequent guest and commentator on MarketWatch.com, CBS’s Portfolio Doctor, and CNN News Radio’s Wall Street Shuffle, among other venues. He and Mr. Morales are currently writing a second book to be published by John Wiley & Sons, Inc. in summer of 2012. Mr. Morales began his investment career in 1991 as a stockbroker in the Beverly Hills branch of Merrill Lynch. In 1997, William O’Neil personally recruited Mr. Morales to join William O’Neil + Company, Inc. where he spent the next eight years as a Vice-President, internal Portfolio Manager responsible for managing a portion of the firm’s proprietary assets, and Manager of the O’Neil Institutional Services group responsible for advising over 500 of the largest and most successful institutional investors in the world, including mutual fund, pension fund, and hedge fund clients. Mr. Morales also co-authored with William J. O’Neil a book on short-selling, “How to Make Money Selling Stocks Short,” published by John Wiley & Sons in 2004. In 2004, Mr. Morales was appointed Chief Market Strategist for William O’Neil + Company, Inc. In addition to co-authoring, “Trade Like an O’Neil Disciple,” he also contributed to the book, “Wiley Trading Guide, Volume II,” published in 2001. In the period from January 1, 1998 to December 31, 2005, Mr. Morales achieved in his personal account a total return of 10,904.25% as audited by Rothstein Kass & Company, a hedge fund auditing firm. Mr. Morales received his B.A. in economics from Stanford University. 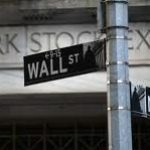 Mr. Morales is also currently a principal and Managing Director of MoKa Investors, LLC and Virtue of Selfish Investing, LLC, www.VirtueOfSelfishInvesting.com. He currently manages money for qualified investors through each of those firms, and is a frequent guest and commentator on Fox Business News, MarketWatch.com, and CNN News Radio’s Wall Street Shuffle and Opening Bell shows, among other venues.